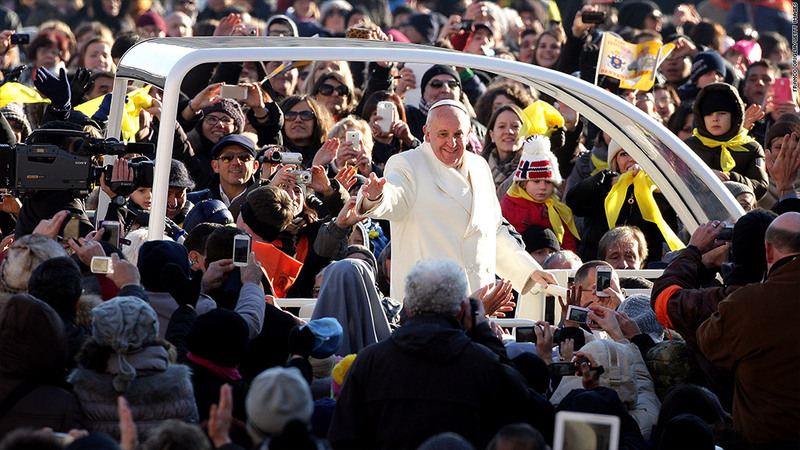 Pope Francis greets the faithful in his Popemobile as he arrives in St. Peter's Square in mid-December. Since his election in March 2013, he has been drawing huge crowds to the Vatican. Visits to the Vatican roughly tripled last year as people flocked to see Pope Francis. Officials said more than 6.6 million people attended Vatican events led by Pope Francis since his election in March 2013, noting that there was a significant increase in visitors compared to the previous year. Roughly 2.3 million people visited Vatican events led by Pope Benedict in 2012. Pope Francis has been drawing huge crowds since he was chosen as Benedict's successor. 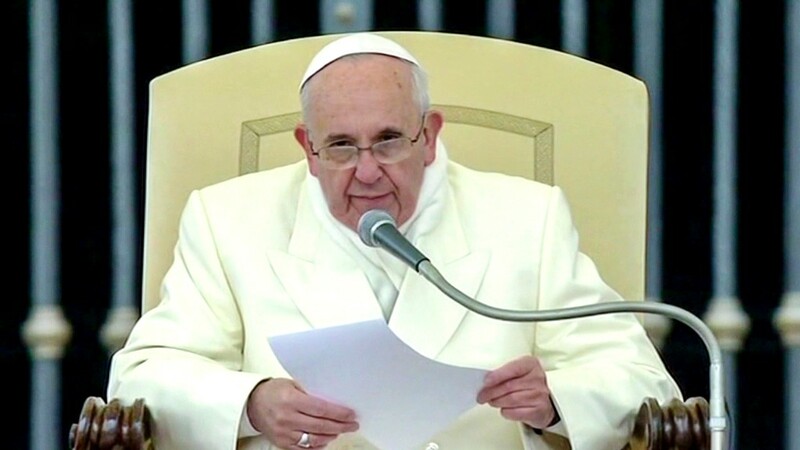 His presence has given the Vatican a public relations boost, and he has inspired public admiration with deeds such as inviting homeless men to his birthday meal and taking a teenage boy with Down syndrome on a ride on his Popemobile. He has also spoken out against the harms of capitalism and urged world leaders to help develop "a global financial framework with its own just and clear rules ... to achieve a more equitable and fraternal world." Pope Francis -- who was named Time magazine's "Person of the Year" in December -- took on the role after Pope Benedict resigned in February 2013, citing his "advanced age." Benedict was the first pope to step down in nearly 600 years. Pope Francis has also made his mark by accelerating the work of his predecessor in cleaning up the Vatican's finances. He has stepped up efforts to introduce tougher financial regulation of the Vatican bank and other organizations. Pressure has been growing on the Vatican since 2012, when an independent group of European finance experts -- Moneyval -- found it fell far short of international standards when it came to combating money laundering. --CNN's Livia Borghese contributed to this report.